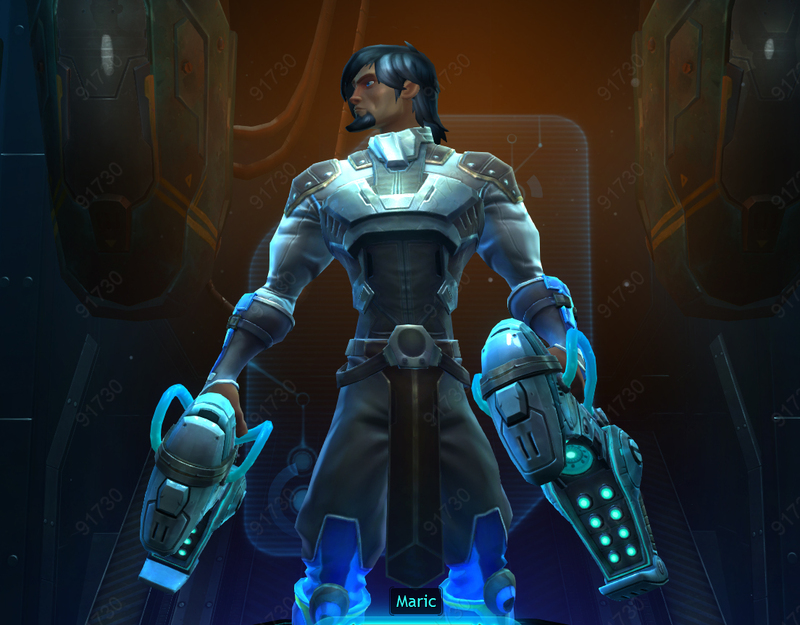 If you Google my gaming alias Maric you’ll likely find comments disparaging Carbine’s labor of love and new MMO darling Wildstar in a few opinion pieces here and there. Not out of meanness. I’m really sick of the MMO communities attempts to destroy every MMO out the gate in recent years. I just was not impressed with Wildstar in beta. 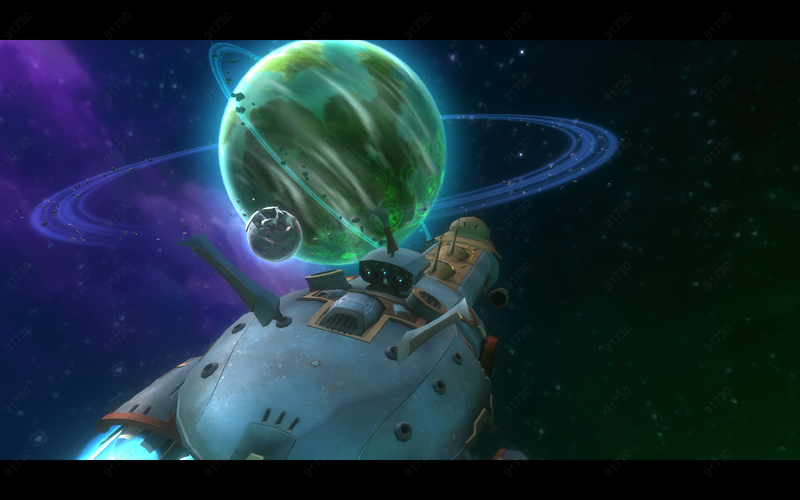 To me, Wildstar looked and for the most part felt like Blizzard’s behemoth World of Warcraft. While I loved WoW for years, I know I’m done with any real time investment in the game. That ship has sailed for me. 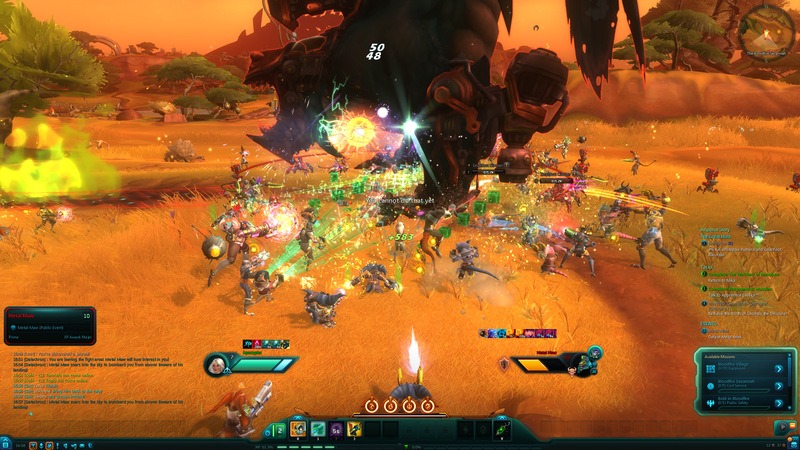 Wildstar was so reminiscent of WoW, both visually and core design-wise, I wrote it off. I’m here to tell you today I made a mistake and I was wrong. I was extremely excited for Wildstar. The MMO genre badly needed a change of venue as fantasy is overwhelmingly the dominant setting. The pedigree of Carbine studios is one of proven talent. I expected a great game and had very high expectations for the game. I was afforded a Winter Closed Beta key by a good friend. I was overjoyed to get the key as the beta pool to that point had seemed to be fairly exclusive. Another friend who had been in Beta awhile told me that he wasn’t impressed. I chalked his opinion up to maybe not liking the campiness of the art direction and writing. Fair enough. I was confident I’d be hooked as soon as I stepped foot on Nexus. I was wrong. Playing the early levels of Wildstar, I couldn’t shake the feeling that I had “played this before.” Character creation was extremely underwhelming. Especially after Guild Wars 2 and The Elder Scrolls Online raised the bar for the ability to create unique, varied characters. The ‘!’ quest system felt right out of World of Warcraft (Wildstar isn’t the only MMO to be guilty of that design lift). Even the audio clip upon accepting a quest sounded identical. I didn’t want a fresher version of WoW in Wildstar. I wanted a game that had it’s own character and who’s design felt new and different. I ran around accepting quests and running kill and collect missions in a world which did not feel organic and dynamic (something I felt ESO did extremely well). I felt that Wildstar didn’t have any spirit of it’s own. I stopped logging into beta and wrote it off as a game that just wasn’t for me. I didn’t hate it. I just was not interested in this type of theme park WoW clone anymore. 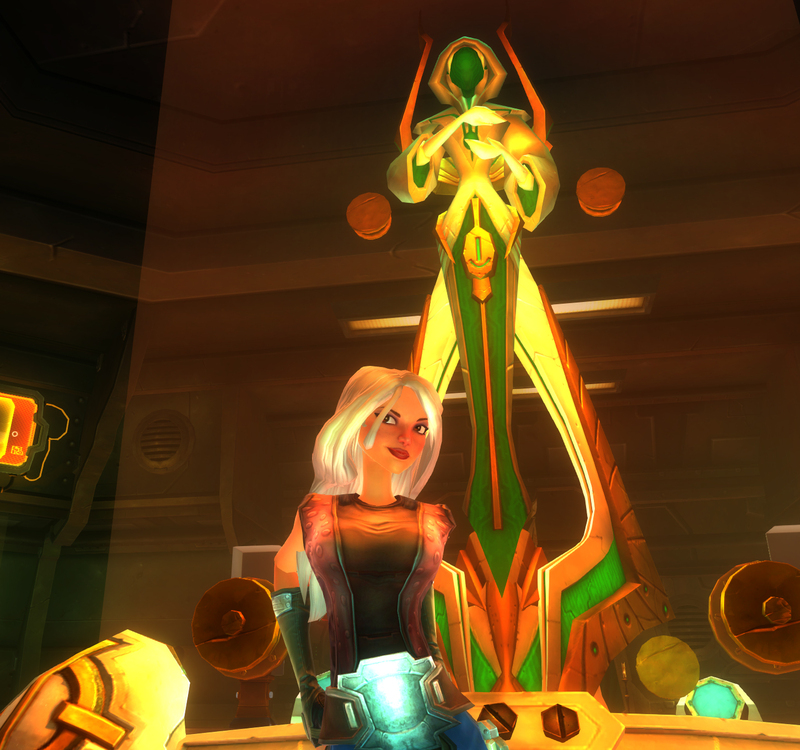 A few things kept my fingers on the pulse of Wildstar as the game grew closer to launch. For one, the community and general air about the game was refreshingly positive. Over the last several years I’ve noticed that there is a contingent of people that infiltrate MMORPG news sites and spam hatred in comments. Even among my Twitter community I see opinions posted that, in the interests of respect, would be better off published on a personal blog. I’ve watched guilds collapse because a few members decide they no longer like a game and start talking negatively. The negativity becomes an infection in the community, and it’s easy to let that negativity ruin enjoyment in a game. I personally had this happen to me with SWTOR. It wasn’t long before I was among the darksiders and I totally left the game. I’m as guilty as anyone, though I’ve started to recognize and redirect any cynicism or negativity away from public forum so as not to ruin the enjoyment of others. Once in awhile I have a relapse. I’m only human afterall! Secondly, Carbine has done an outstanding job when it comes to community interaction. I’m not sure I’ve seen a developer work harder to stay actively engaged with their community. Many Carbine developers are on Twitter having dialog with fans on a daily basis. Most notably game design producer @StephanFrost, Artist Peter Sung, and many others. More than coming across as a sales pitch, I always got the feeling these people were genuinely enthusiastic about the game they were working on. Wildstar wasn’t just a job for them, but an obsession they believed in. Lastly, I am involved in a gaming circle that is full of fun people. We are a culmination of guilds and people with the common interest of PLAYING ALL TEH GAMEZ! While this isn’t always the healthiest environment for stability in any one game (not to mention bank accounts) it is nice to be able to hop around and enjoy different games with our various circles. Most recently we consolidated our guilds and became The Alliance of Awesome (@AofAStuff). And as usual, we had members who were very much looking forward to Wildstar. I hemmed and hawed and put my foot down I wasn’t going to play Wildstar. I just felt after my beta experience the game wasn’t for me, though I supported their enthusiasm and wished them luck. Hell, we were split over Exile or Dominion factions, and I went through that hell with SWTOR. The motto NEVER AGAIN was tattooed on my brain from the disastrous, guild killing decision to run two factions in Bioware’s space opera. But in the end, the enthusiasm of my peers and desire to play with the crowd led to that fateful day when Greenmangaming sent me a 25% off coupon. Yeah, I’m that easy. And while I continued to scream to all corners of the Earth “Wildstar isn’t for MEEE!” the positive vibe leading to early start did manage to crack my resolve and make me slightly giddy for launch. I don’t know if it’s because I went Dominion (I played Exile exclusively through Beta as I like their races more) or if it’s the casual friendly design that Wildstar offers, but I have found myself very much enjoying the game. I think one of Wildstar’s problems is that on the surface there doesn’t seem to be much to the game that I haven’t already done before in countless MMORPGs. In fact, when you peel back the layers, Wildstar has a fairly deep class system. I also have noticed that while I was not impressed with the game visually in beta, that I find the game beautiful at times. The poly count is much higher than I expected it to be, and the animations on the player characters are fantastic. ‘I’ still find The Elder Scrolls Online to be a better game in many respects (especially PvP, dynamic quests and writing, and the dark fantasy art direction). But ESO also requires more of an investment both in time, and mentally. I find that I can sleep walk through Wildstar in many ways and make progress, which is something I could never do in ESO. With work, family, etc. 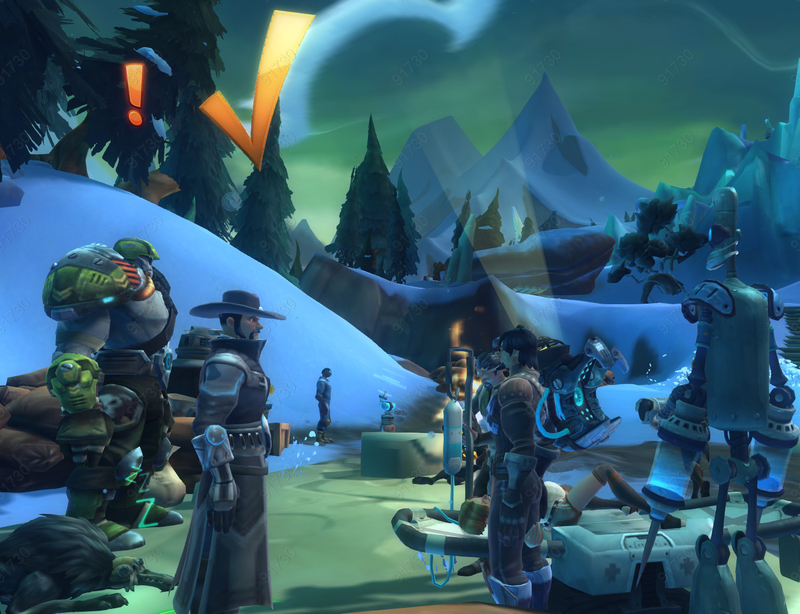 Wildstar in many ways is a better fit, even though it is ideally not the game I would have as my main. Funny thing is, I find myself logging in everyday and spending hours in Wildstar. Why? For reasons I have already mentioned. The people of AoA. The general community, and the positive vibe they generate. I don’t have to be on my ‘A game’ which I’m often not after coming home from work. 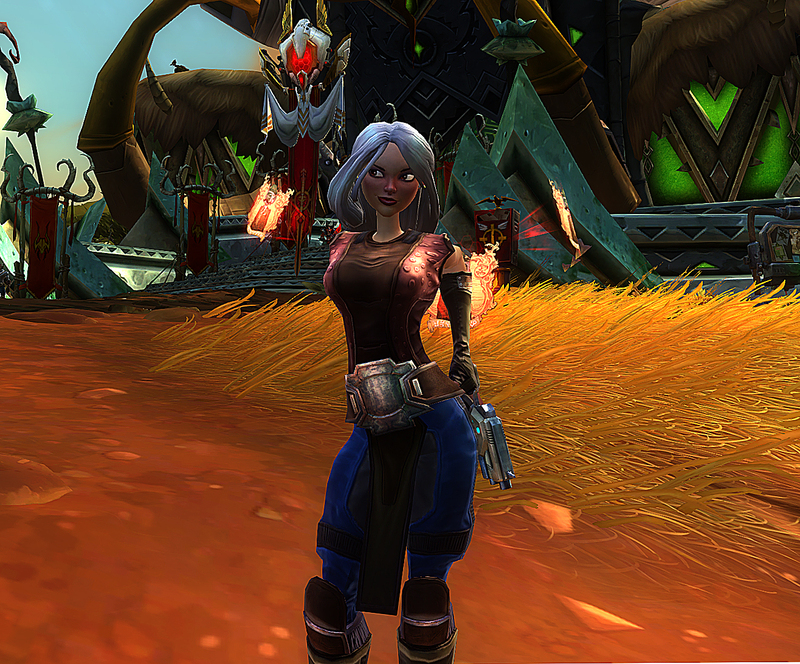 And lastly, because in the end Wildstar is a good game. When all is said and done, I find myself having fun and I’m enjoying the game. So much so I read the quests because the storyline is fun, and there is an underlying mystery to Nexus which is interesting and makes me want to know more. I would still say to some extent that Wildstar is a WoW clone. I know I may get flack for saying that but when it comes down to it, the game still very much feels like WoW to me. I know the combat system is different blah blah blah. But the game design feels so familiar for a reason. The color palette for the art doesn’t help much either. It’s not a slight on Carbine or Wildstar. It’s just an observation and my opinion. In the end, I have learned to stop worrying and love the clone. At this time in my life, it’s the easiest method to gaming with my friends and enjoying the genre I love. Do I believe Wildstar is for everyone? No. I totally get those that have no interest in the game. Do I think Carbine has a polished gem in their hands? Yes. The production value and feature rich content that Wildstar has launched with may be unsurpassed in the history of the genre. Housing at launch? Pretty remarkable. So yeah. I’m playing a game I thought I had no interest in. So it goes. This entry was posted in MMORPG, Online Gaming, RPG, Wildstar. Bookmark the permalink.